The 10 Best Seafood Restaurants in Missouri! 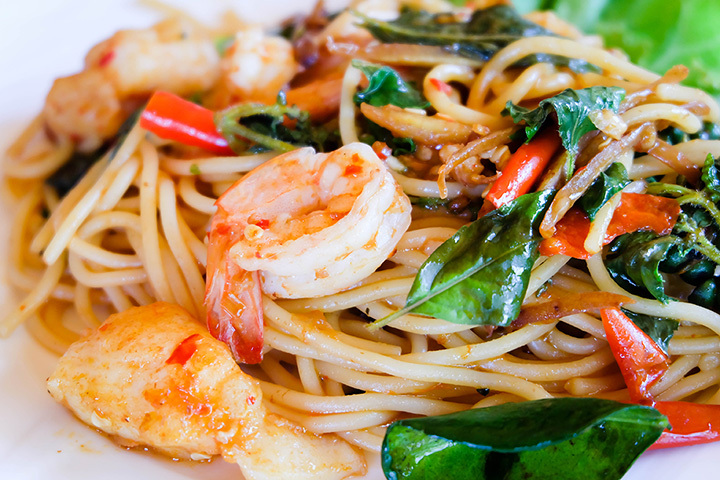 Shrimp, scallops, and salmon are all seafood that can be found on many menus nationwide. However, it takes a special place to prepare dishes with these delicate proteins in them without overpowering the seafood itself. In Missouri, there are several places for you to choose from and this list is here to help you find the best seafood restaurants the state has to offer. Created to provide an upscale experience, Bristol Seafood Grill opened in the Power and Light district with a full lunch and dinner menu ready for guests to try. The restaurant works with water men, ranchers, and fishmongers to purchase the freshest ingredients for their dishes. Some of their entrees include lemongrass shrimp tacos, almond crusted tilapia, and fresh shucked oysters. Visit their website for more information on their hours and to see their full menu selection. If you are looking for a new place for a special occasion, Eddie V’s is the place to try in the KC area. Their chic and stylish décor adds to the dining experience as you enjoy menu items like oysters, Chilean sea bass, or Georges bank scallops. One of the special things of Eddie V’s is that they have live Jazz music in the V-Lounge from 6p.m. to 10 p.m. every night that you can enjoy after your dinner. For more information on their location or to make a reservation, check out their website. For over 35 years, Broadway Oyster Bar has served guests their unique New Orleans’ styled seafood in their 170-year-old building. Enjoy some fresh Gulf and Blue Point oysters or get a traditional Po’boy with lobster, shrimp, or even crawfish tails. If you feel adventurous, you can try their alligator sausage or naked gator tacos. Whatever you try, you can stay for some live music from local and regional bands almost every night of the week. For more about their music or menu, visit their website. Opened since 1986, Churchill’s Steak and Seafood provides the Columbia area with a fine dining experience unlike any other in town. Enjoy a sophisticated atmosphere of the restaurant and relax in their plush seating and candlelight. The menu offers guests items like grilled oysters, crab cakes, and seared sea bass to try for the evening. For more on their menu selections or hours of operation, check out their website. Providing an exceptional dining for the St. Louis area since 2013, 801 Fish pairs the freshest ingredients with innovated cooking techniques to create delicious dishes for their guest. Along with a fully stocked raw bar, the restaurant has menu items like shrimp louie salad, Maine lobster mac and cheese, and New Zealand ora king salmon. On Sundays, they offer a three-course meal and have their happy hour Sunday-Friday from 4 p.m. to 6 p.m. for guests to enjoy some of their drinks and appetizer specials. Visit their website for more information on their hours and directions to the restaurant. Since 1994, Kar’is Surf and Sirloin has served the local area both fresh seafood and prime cuts of meat for lunch and dinner. As a family owned and operated establishment, the Karagiannis family has focused their service around the Greek phrase “philoxena,” that means “to make friends out of strangers.” This philosophy has guided them as they design and serve up menu items like salmon dijon, shrimp tempura, and Alaskan king crab legs. Check out their website for more information on their menu options and hours of operation. If you are looking for some hometown cooking, then look for Charlie D’s and Sons Catfish off East 99th St. Since 2014, they have provided customers with fresh fried catfish, salmon, and tilapia. For side options, you can get items like fried mushrooms, fried okra, and spaghetti. If you need something that is not fried, you can also choose from healthier options of grilled salmon and grilled tilapia for lunch or dinner. Check out their website for more information. Since 1986, Broussard’s Cajun Cuisine has provided Cajun inspired lunch and dinner specials to their guests through the years. With dishes like shrimp and crabmeat gumbo, po’boys, and Cajun pasta, there is a little bit of something for all your seafood lovers. Ask the staff for help if you are stumped with any of the terminology on the menu, since they use Creole words on much of it. This is a casual sit-down eatery, so relax, order your food, and enjoy (even if it is a little messy). Visit their website for more information on their hours and directions to the restaurant. Ready to feed you like family, The Fish Shack is a family owned and operated seafood restaurant. With a menu filled with pasta, sandwiches, and tacos, their guests can enjoy lunch or dinner in their casual atmosphere. Check out their Facebook page for the special of the day and more information about their hours. With dark oak accents and tables with red tablecloths and white napkins, the atmosphere feels like you stepped into a far- away destination at Bentley’s restaurant. As per their name, their service strives to be just as high quality as the food they serve. You can check out the menu on their website before you go or ask the staff for their recommendations for your dinner entrée. They do not open until 5 p.m. and reservation are encouraged but not required. Visit their website for more information on directions and about the restaurant.